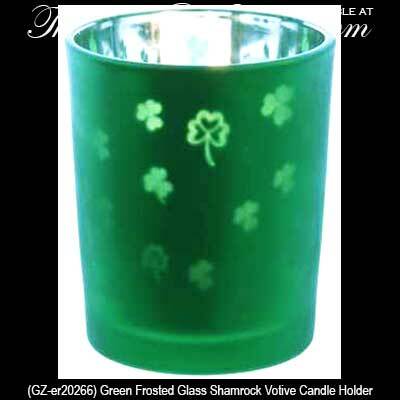 The shamrock design on this green frosted glass Irish candle holder is visible both inside and outside the holder. The frosted glass Irish candle holder with shamrocks measures 2” wide x 2 1/2" tall. This Irish votive holder is gift boxed with a bit of shamrock history. Celtic knot design on the base.